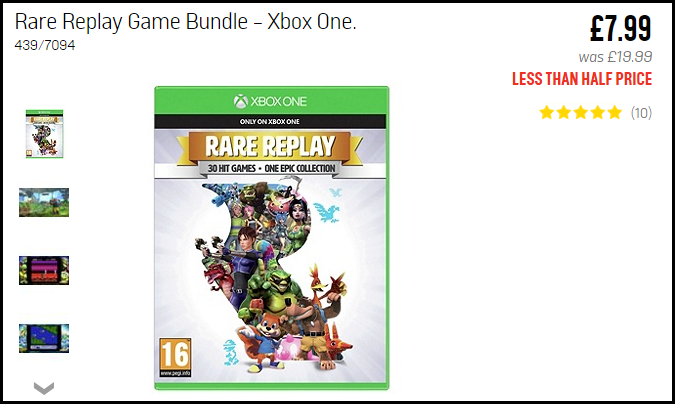 Argos have just dropped the price of Rare Replay from £19.99 to £7.99. Amazon have also just price matched Argos, so you also have the option of buying from there if preferred. A great opportunity to own the collection if you’ve yet to buy it. View prices at other retailers on the Rare Replay price comparison page.